We Guarantee to Make Your Door Roll Like New or It Is Free!! Life is too short! There is no reason to keep fighting with your sliding door! It's time to call THE EXPERTS. We are the experts because this is ALL we do - Repair Sliding Doors! We offer a solution to your door problems by experienced professionals. Our knowledgeable technicians come to your home clean and neat, ready to make your door work better than new. If you call us today, we can tell you exactly what you need after hearing just a brief description of your problem. Remember, this is all we do! We have seen your same door problem thousands of times over the years and we have a 100% success rate at fixing them. That is why we can offer a "Rolls Like New, or it's Free" guarantee. 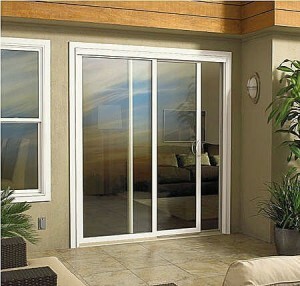 When it comes to repairing your sliding door, you've come to the right place. Want to See More Repairs? …Which means I have no excuse for going outside to do yard work anymore – should have thought that one through! Seriously, Scott you are a master of your trade, I wish I had called you years ago. Thanks for being on-time and efficient – you and your crew are the best. Our company has been established for over 24 years. Read what our customers have said over the years. What Happens to Sliding Doors? One of the main reasons why sliding doors become so hard to open this because the wheels are out of alignment for the tracks become dirty.After years of exposure to weather, dust and dirt particles accumulate within the track and the wheels of sliding doors. In many cases it's not as easy as just scrubbing off the caked up grime. The wheels and tracks have to be replaced due to too much wear and tear over the years. When sliding glass doors do not glide as smoothly, the door has to be removed and the rollers have to be examined properly. You may have seen many DIY websites that say all you need is an Allen wrench, corded drill, pry bar and a utility knife to fix your damaged sliding door. But our repairmen have over 26 years of experience properly assessing damage, aligning tracks, door jambs, properly adjustment of rollers. Now you have taken the time to find us - give us a call. Soon, our technician will be on their way. Choose your location below. We are uniquely qualified to repair your bottom track without having to replace your entire frame, it in most cases. To save customer money, we have had parts fabricated, that other companies don't have access to. Let us save your money. 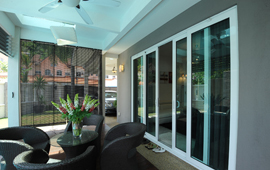 AAA Superior Sliding Door Repair Specialist has been repairing Glass Patio Doors, Wardrobe Doors, Pocket Doors, Tub Enclosures, Shower Doors and has been the source of Locks & hard to find Sliding Door Hardware in the of Banning for over 18 years. If you live in the city of Banning and need Sliding Door Repairs for your Glass Patio Doors, Wardrobe Doors, Pocket Doors, Tub Enclosures, Shower Doors or need Locks & hard to find Sliding Door Hardware, Please give us a Call at the phone numbers above.